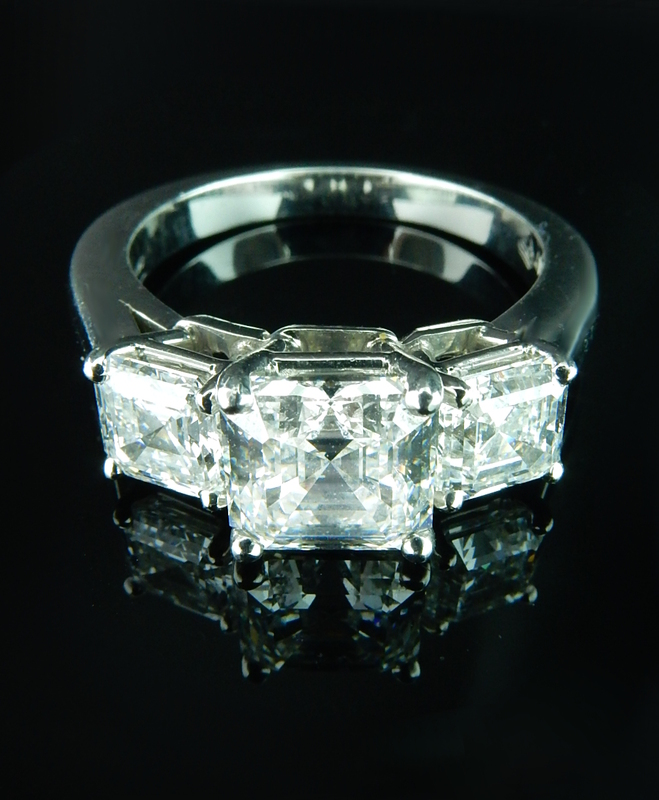 The use of fancy cut diamonds in this ring is remarkable. This design highlights the beauty of the 1.93ct center stone while accenting it with classic rounds and sprinkling in baguettes. This is a one of a kind creation that you won't see anywhere else. 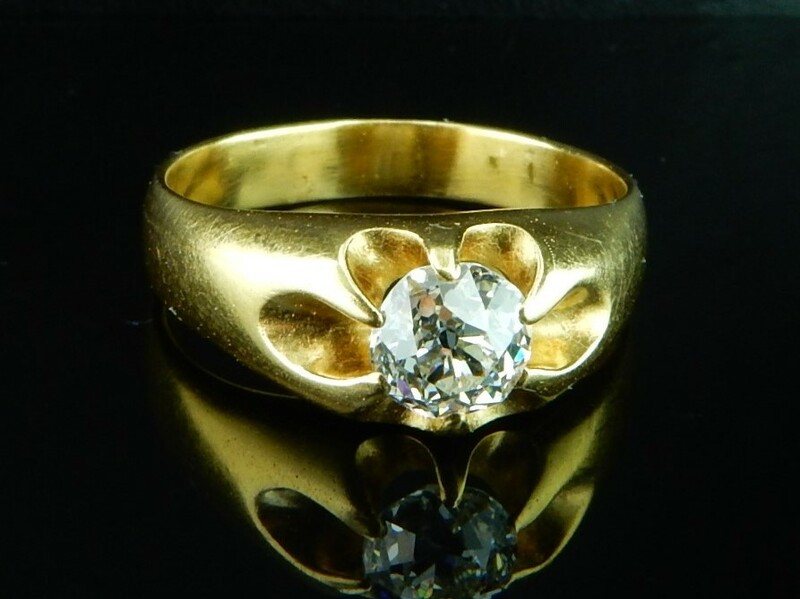 Add some creativity and brilliance to your day with this vintage piece. 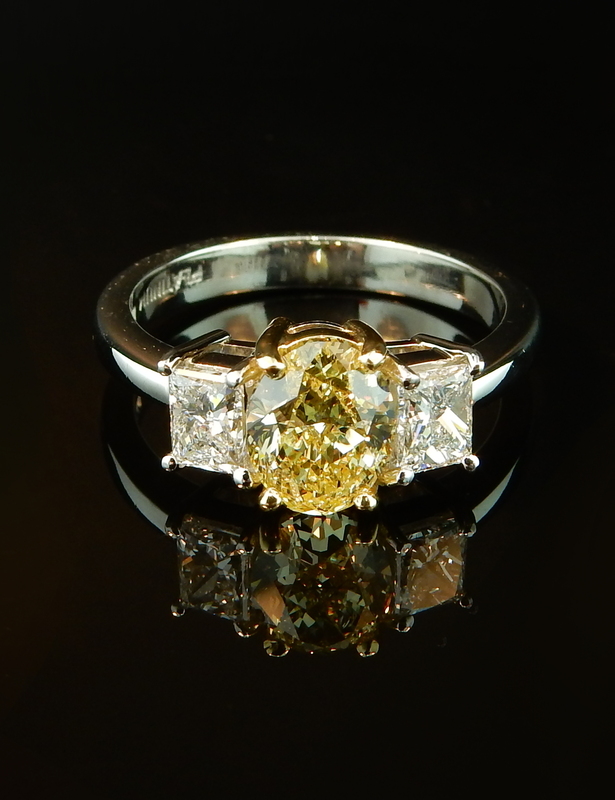 This GIA certified fancy yellow diamond ring is truly exquisite. With its vibrant yellow center stone and the colorless radiant cut diamonds, this piece showcases a wonderful color contrast. Get this incredible and rare diamond engagement ring for your special day! Who says you need one large center stone to have a dazzling and brilliant engagement ring?! With this style of multi-diamond clusters you can have the scintillation and fire of a big diamond without breaking the bank. This cluster ring synchronizes the elegant sparkle of marquise and princess cut diamonds to create one amazing look. Asscher cut diamonds display a very unique display of reflections. 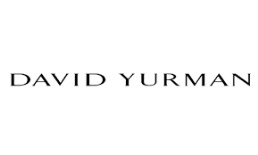 The cutting style creates a visually pleasing "X" design right through the top of the stone. This three stone Asscher cut ring includes a center 1.51ct SI2 clarity H color GIA certified stone. The side stones are approx 0.58tcw and they bring this whole ring seamlessly together. The simplicity of this ring is everlasting. 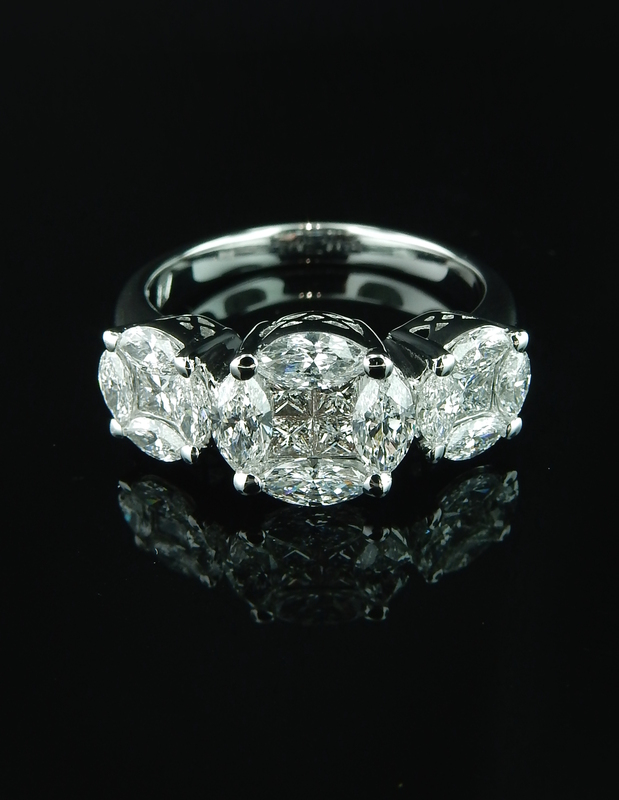 With three round brilliant diamonds totaling in 3.43tcw, you get the best of the four C's all in one ring. The center 2.01ct diamond has a near colorless color with SI clarity, a beautiful cut and a significant carat weight. 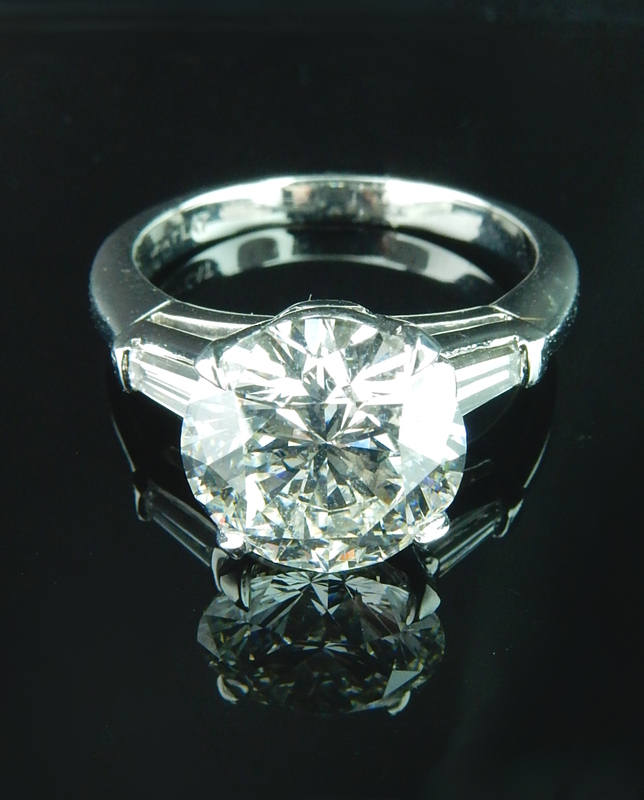 This ring features one center classic round brilliant cut 2.58ct diamond. The appeal of round cut diamonds has lasted for generations and the evolution of the round brilliant speaks of true perfection. The interaction that light has with this stone is remarkable and would make for the most dazzling engagement ring! The GIA certified radiant cut is a beautiful alternative to a more classic round. The angles and proportions of this stone maximize your ability to see this diamond's incredible clarity and color. With VS1 clarity and G color, this 2.03ct diamond is truly exquisite. 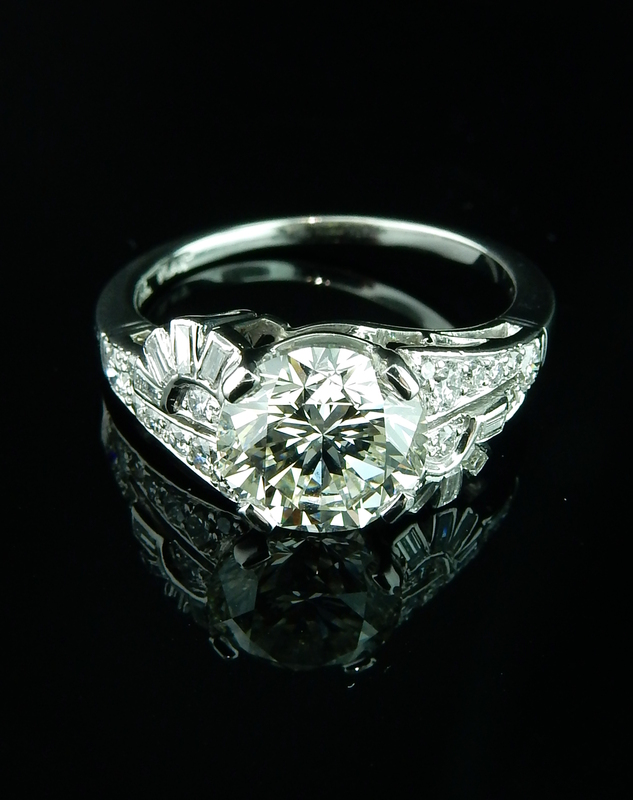 The accent diamonds in this ring really bring the design together for a symphony of sparkle and scintillation. 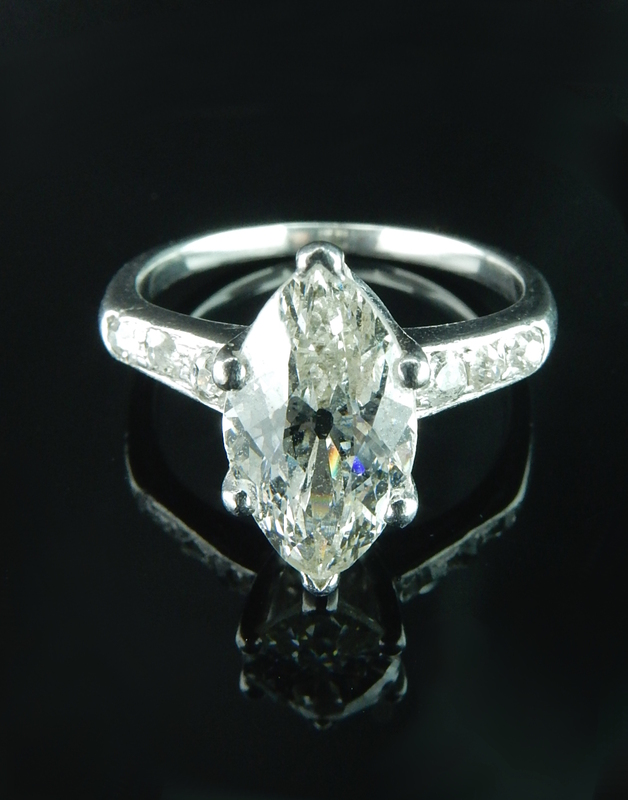 Marquise cut diamonds can be a great way to create an illusion of a longer finger. They tend to be very flattering! 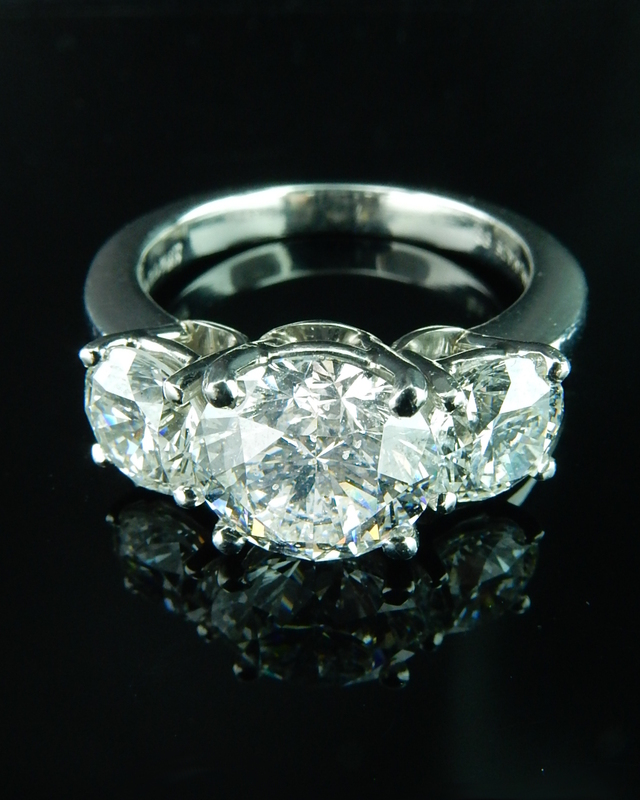 This amazing VS clarity center stone with accent old European cut diamonds is a beautiful option! 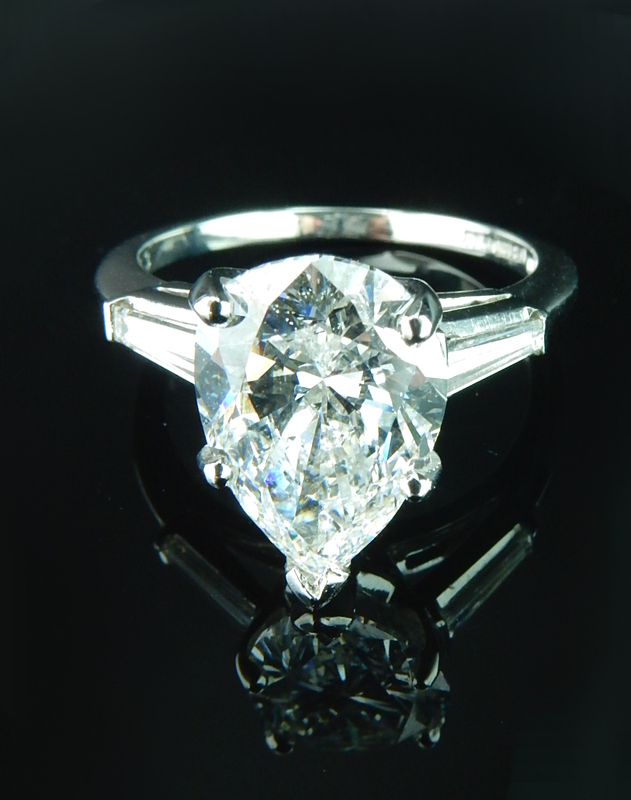 This pear shaped diamond ring is such a beauty! Featuring one center 2.38ct diamond with F color and SI2 clarity, it's extraordinary color and high carat weight makes this ring a high demand piece. 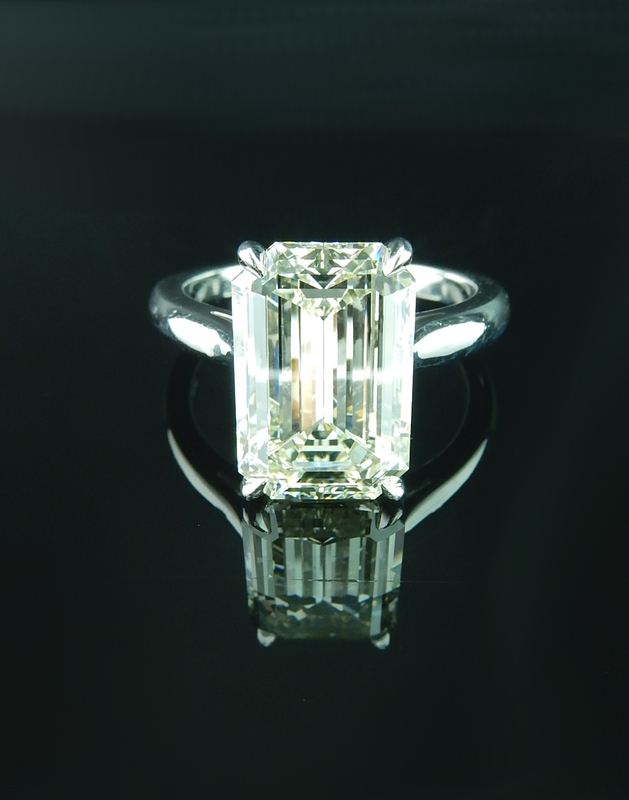 This amazing 4.23ct engagement ring features an emerald cut diamond center stone. The center stone radiates with sparkle and class. It's simplicity makes it the perfect ring to wear every day. 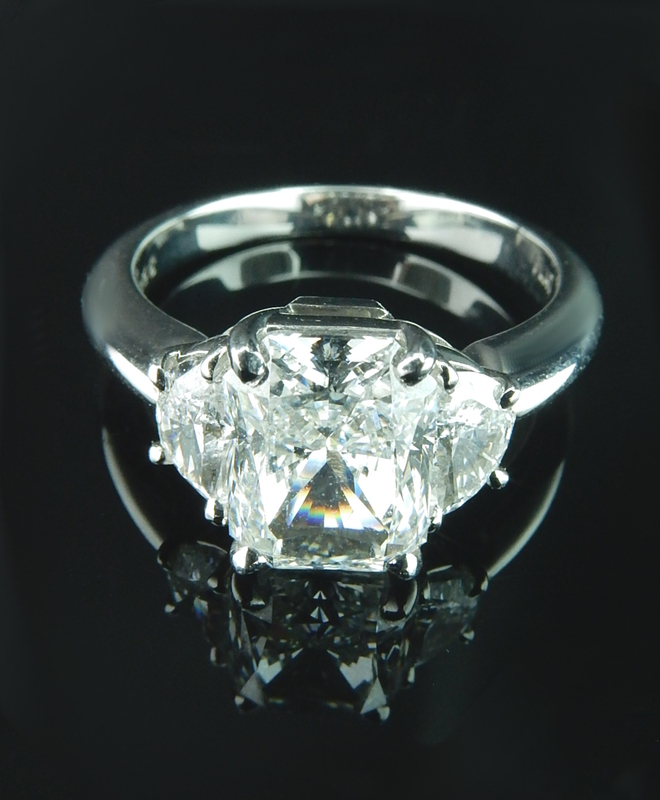 This Victorian era diamond ring features a 0.53ct old European cut diamond. This ring exudes immense creativity that is applied to a basic design that represents love. The craftsmanship in this is truly beautiful. Walk in to our store with jewelry needs and walk out feeling more knowledgeable and like you've obtained a piece of history. 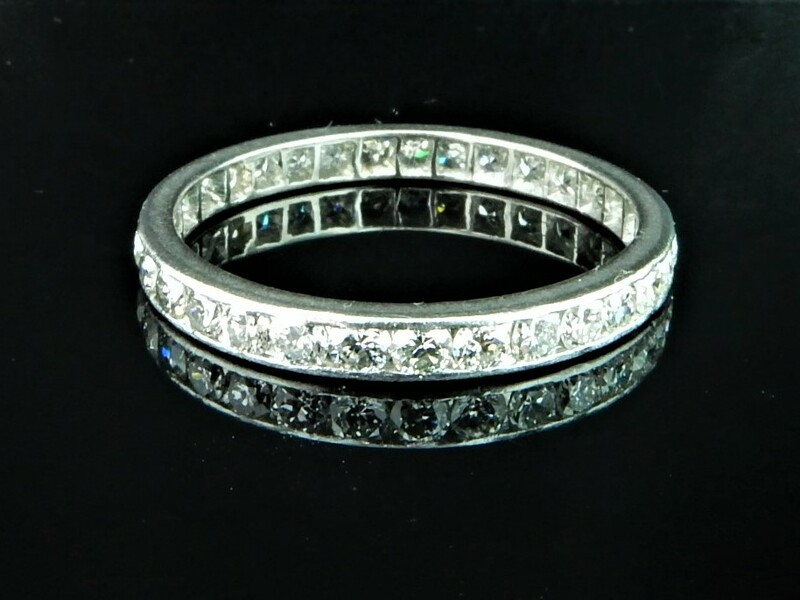 With this diamond eternity band dating back to the 1920's you will be able to buy a symbol of love while portraying your originality and uniqueness. 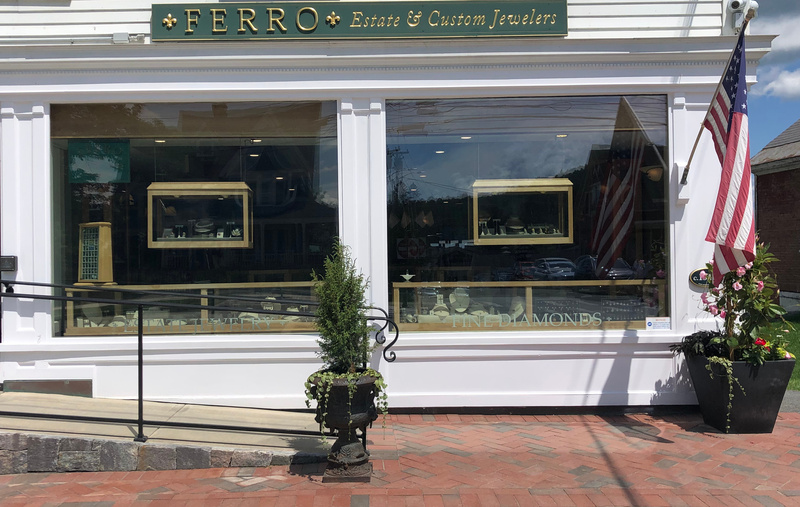 Everyone knows where to buy a basic diamond eternity band but here at Ferro's we offer much more than that.